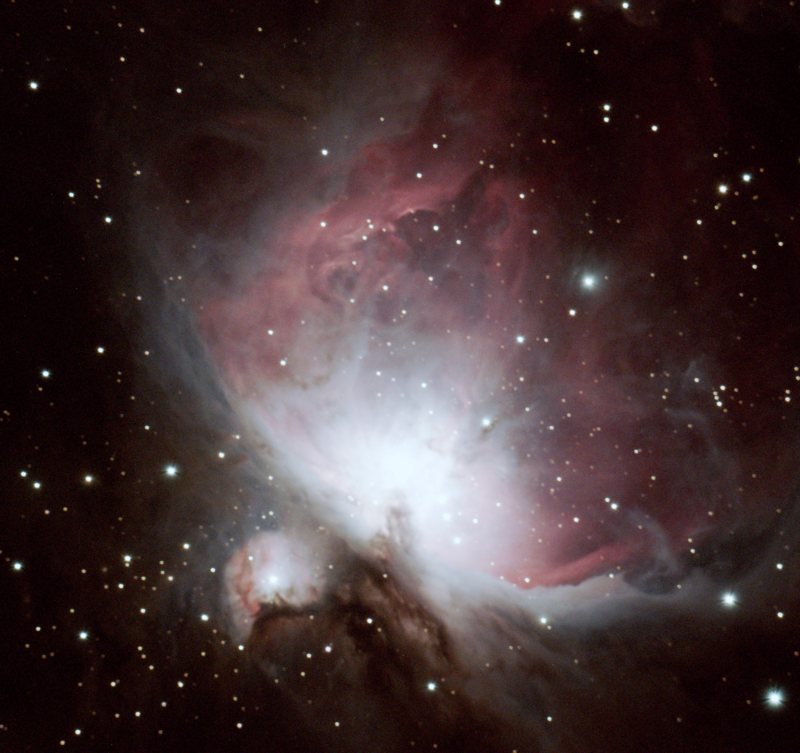 It has been awhile since we have published a post covering featured deep-sky objects. In the past, we have been posting articles regarding objects in the night sky such as galaxies, nebulae and star clusters complemented with images taken by the staff of Insight Observatory using a remote robotic telescope on the iTelescope network. Due to our recent projects such automating a 32" Dobsonian telescope, assisting the W. Russell Blake Planetarium with its newly installed digital imaging theater and implementing our Astronomical Telescope for Educational Outreach (ATEO-1), we simply haven't had the time or resources to do so (which is actually not a bad problem to have). 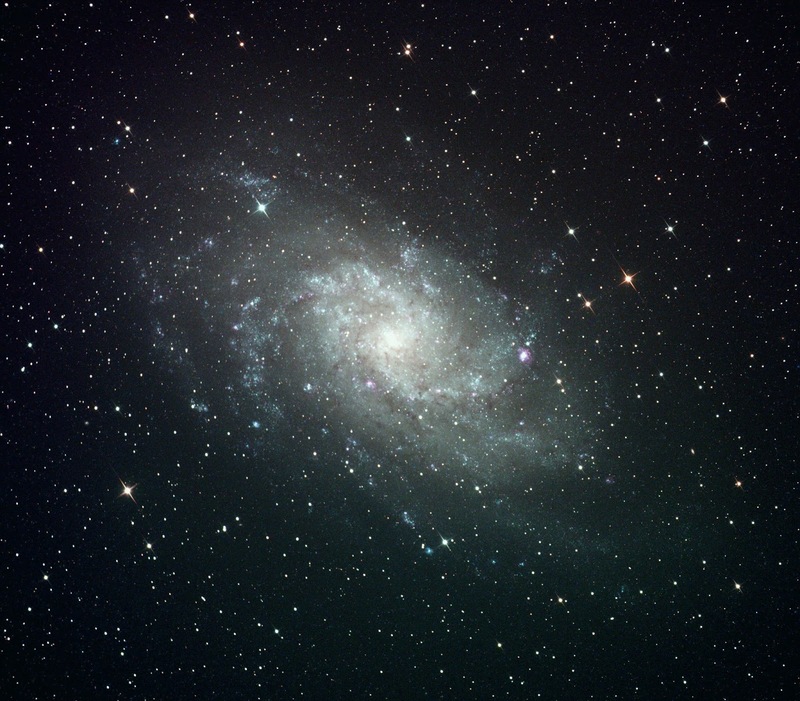 M33 - Triangulum Galaxy imaged on the Astronomical Telescope for Educational Outreach by Insight Observatory. Well, it's about time we started again. In recent weeks we have been performing tests on the ATEO remote telescope, preparing it for educational and public use. 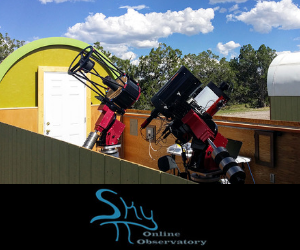 As numerous images of deep-sky objects during testing were acquired, we figured why not post them on our blog as a "Featured Deep-sky Object". The first deep-sky object to feature is M33, the Triangulum Galaxy imaged by Insight Observatory Managing Member / System's Engineer, Muir Evenden. Muir imaged the Galaxy with our 16" Dream Astrograph remote imaging telescope with a 5-minute exposure with the luminance filter, stacked with 2 minutes red, green and blue filter exposures. These images were then stacked and processed using PixInsight. Post processing was then done in Adobe Photoshop by Insight Observatory Managing Member / Project Developer, Michael Petrasko. The result of the image detail is surprisingly impressive considering there are not many exposures comprising the final image. The Triangulum Galaxy is a spiral galaxy approximately 3 million light-years from Earth in the constellation Triangulum. It is cataloged as Messier 33 or NGC 598 and is sometimes referred to as the "Pinwheel Galaxy", a nickname it shares with Messier 101. The Triangulum Galaxy is the third-largest member of the Local Group of galaxies, behind the Milky Way and the Andromeda Galaxy. It is one of the most distant permanent objects that can be viewed with the naked eye. Using a small pair of binoculars with a wide field of view, the galaxy is easily detectable. Being a diffuse object, its visibility is strongly affected by small amounts of light pollution. It ranges from easily visible by direct vision in dark skies to a difficult averted vision object in rural or suburban skies.